“Twelve months ago, my family and I came to London to meet the Prime Minister, David Cameron at 10 Downing Street. 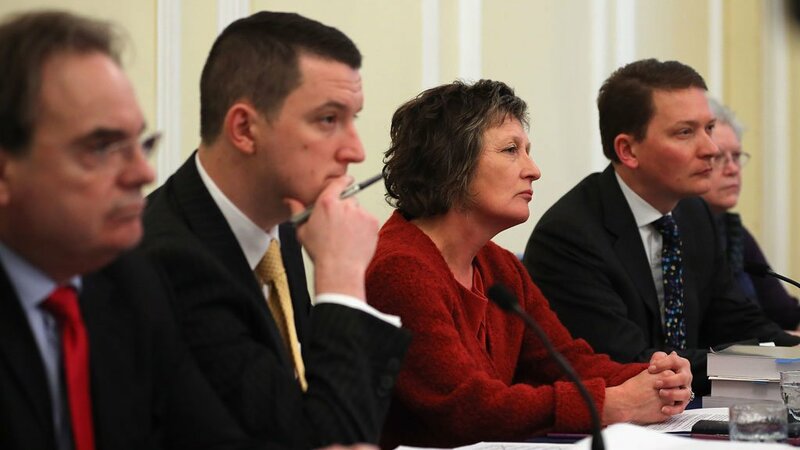 We were invited to hear proposals on an inquiry into the murder of my husband, Pat Finucane. However, at that meeting, we were told that a Review of the papers would take place, instead of an inquiry. I left Downing Street that day so angry I could hardly speak. It was clear that my family had been brought there under false pretences. We were misled and humiliated in a cruel and unnecessary fashion. Today, we have come to London under very different circumstances. We know why we are here. We have known for some time. We are here to read a report compiled by a lawyer with strong links to the Conservative Party who was appointed by the Conservative Government without consultation. The report is the result of a process in which we have had no input. We have seen no documents nor heard any witnesses. In short, we have had no chance to assess the evidence for ourselves first hand. We are expected to take the word of the man appointed by the British Government. Despite all of these misgivings, we tried our best to keep an open mind until we had read and considered the final report. We came to London with the faint hope that, for once, we would be proved wrong. I regret to say that, once again, we have been proved right. Yet another British Government has engineered a suppression of the truth behind the murder of Pat Finucane. At every turn, it is clear that this report has done exactly what was required: to give the benefit of the doubt to the State, its Cabinet and Ministers, to the Army, to the Intelligence Services, to itself. At every turn, dead witnesses have been blamed and defunct agencies found wanting. Serving personnel and active State departments appear to have been excused. The dirt has been swept under the carpet without any serious attempt to lift the lid on what really happened to Pat and so many others. This report is a sham. This report is a whitewash. This report is a confidence trick dressed up as independent scrutiny and given invisible clothes of reliability.